Much progress made, much more to be done! 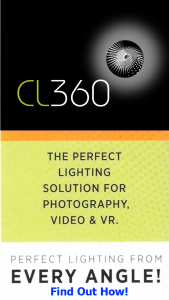 The main idea behind this page is to eventually support a product I am developing for a part of 360 Video/Photo Production being currently ignored – lighting. I have developed a process, currently in the patent stage to make this part of 360 content production easier. Design is done, patent underway, and product branding and presentation next. More to report as things evolve!